Tony has extensive knowledge of and specialises in matrimonial law including divorce and its financial implications, arrangements for children, disputes between unmarried couples, co-habitation agreements, separation agreements, parenting agreements and pre-nuptial and pre-civil partnership agreements. Tony graduated in Law and Sociology from Warwick University and completed his solicitors’ final examinations at the College of Law, Chancery Lane. 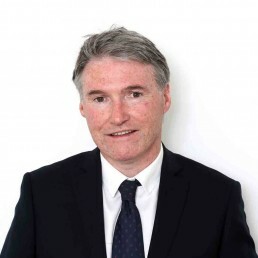 He was admitted as a solicitor in December 1988 and, having worked in private practice in Norfolk, Central London and the South East covering different areas of the law such as conveyancing, landlord and tenant, litigation and employment, now specialises in family law. Tony has an efficient and pragmatic approach to his work and is able to deal calmly and sensitively with the most demanding of situations. His hobbies and interests include art appreciation, the cinema, running and cycling.